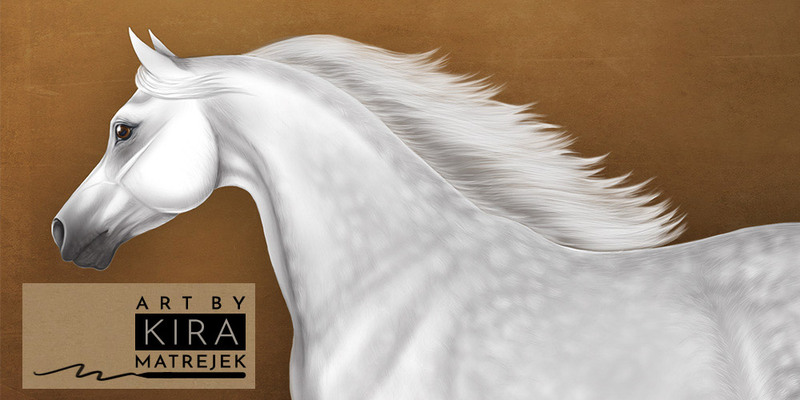 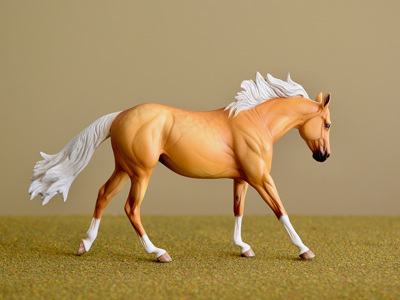 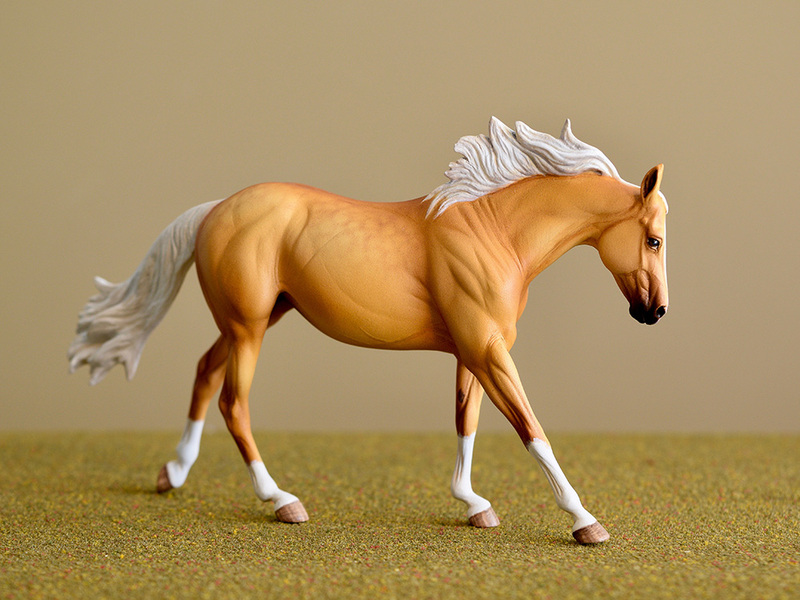 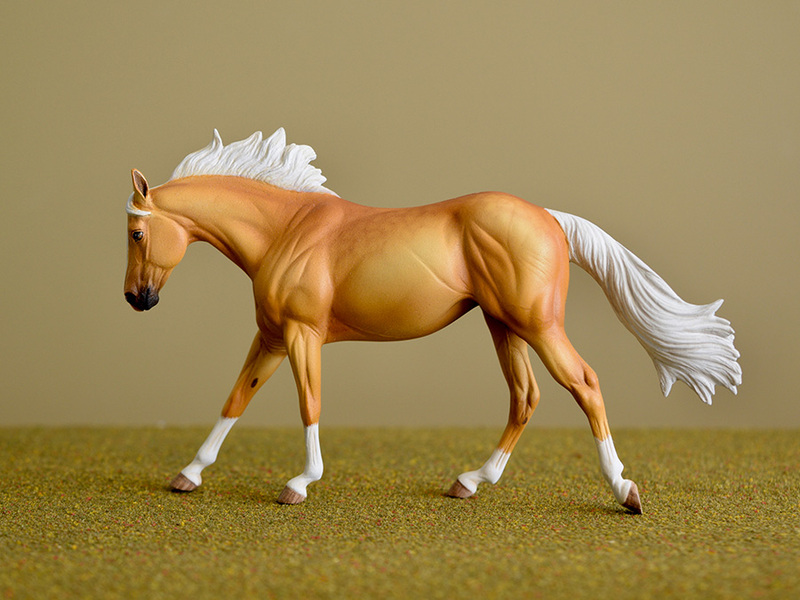 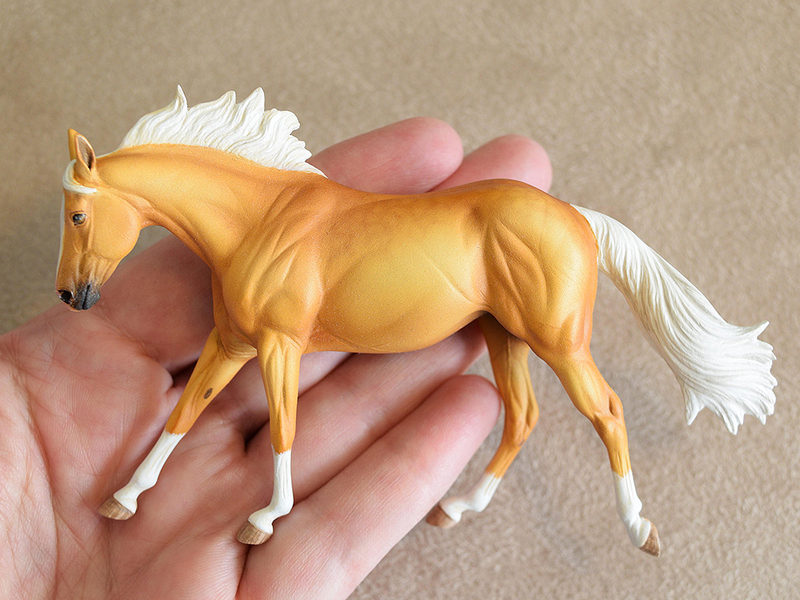 This is one of the mini resins I painted for BreyerFest this year - the lovely "Moxie" stock horse mare (resin by Sarah Rose) in a flashy golden palomino! 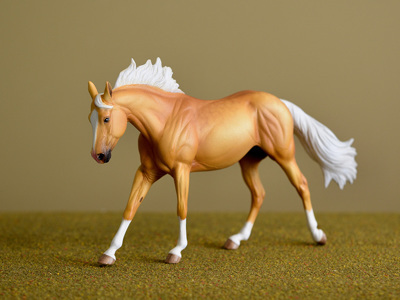 She's got lots of "chrome" (white markings), soft dappling across her back and hindquarters, and delicate striping on her hooves. The model's base coat and shading is airbrushed in gouache acrylics; all the tiny details are handpainted. The model is stablemate-scale, approximately 3.5" long/tall.